Please enter the amount of the contribution you wish to make below. You will then be directed to the University of Illinois Foundation's secure Online Giving site for your personal and credit card information. Please note that gifts of $1000 or more entitle you to membership in our Friends of the Dean club. *Please do not include dollar sign or commas. To make a gift, click on the "Continue" button below. 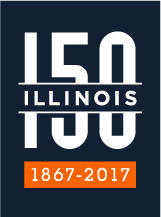 You will be directed to the University of Illinois Foundation's secure online giving site for your personal and credit card information. The Department of Atmospheric Sciences provides our students with cutting edge education and research opportunities. Our internationally recognized faculty perform research with global reach on weather and climate phenomena.